This delightful dog is made from soft and beautiful fabric. There are mirrors, rattles, crinkles, squeakers, a teether and a spinning bead rattle in the stomach. The soft texture and bean bag interior also make it perfect for cuddles. 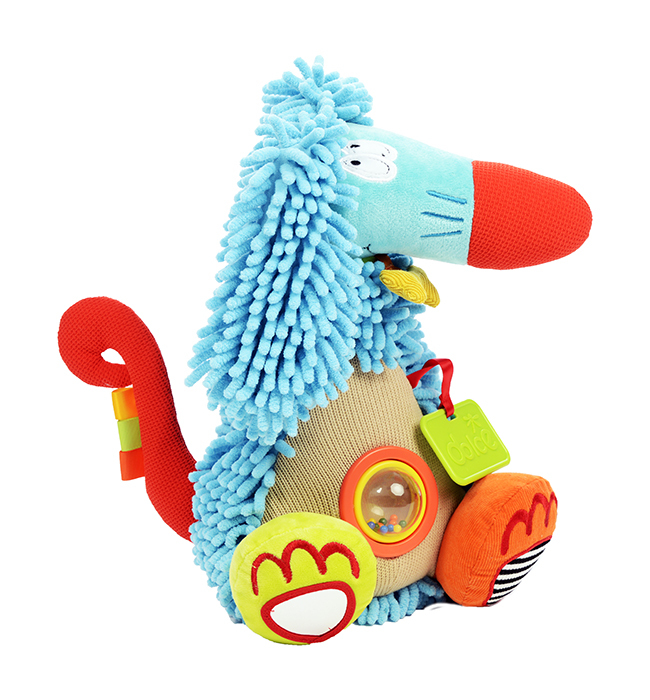 • Sounds: Children will delight in creating sounds through using the squeakers and rattles. • Bead Rattle: Shaking and turning the toy will cause the beads to rattle around in the stomach to the delight of children. 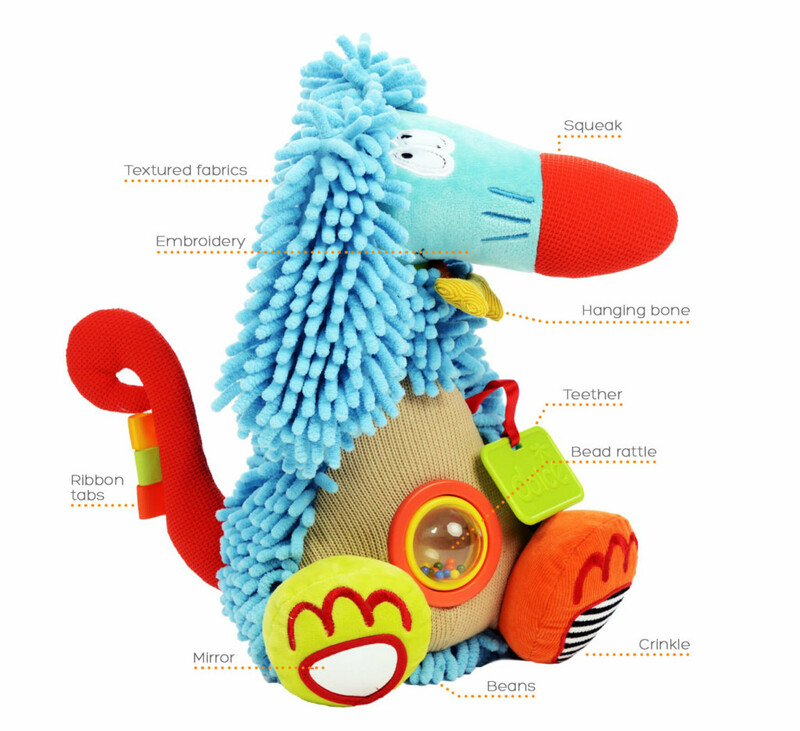 • Touch: The different textures and crinkle feet are extremely satisfying for children to play with. 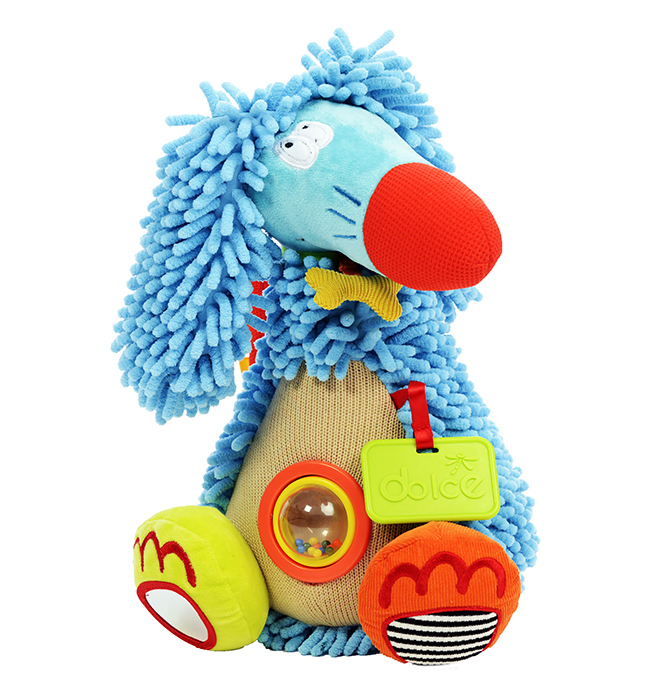 • Helps to connect motor skills with auditory learning by squeaking, crinkling and rattling.